Promote the Computer Science 50th Anniversary, dedication of a new building, and symposium? With only two months lead time? That was the assignment and some of the challenges we faced but we also recognized that it was an opportunity to work with an outstanding university and an exciting program which included having Bill Gates at the dedication of the Bill and Melinda Gates Hall. A fantastic three days were filled with media, alumni, donors, and Mr. Gates! 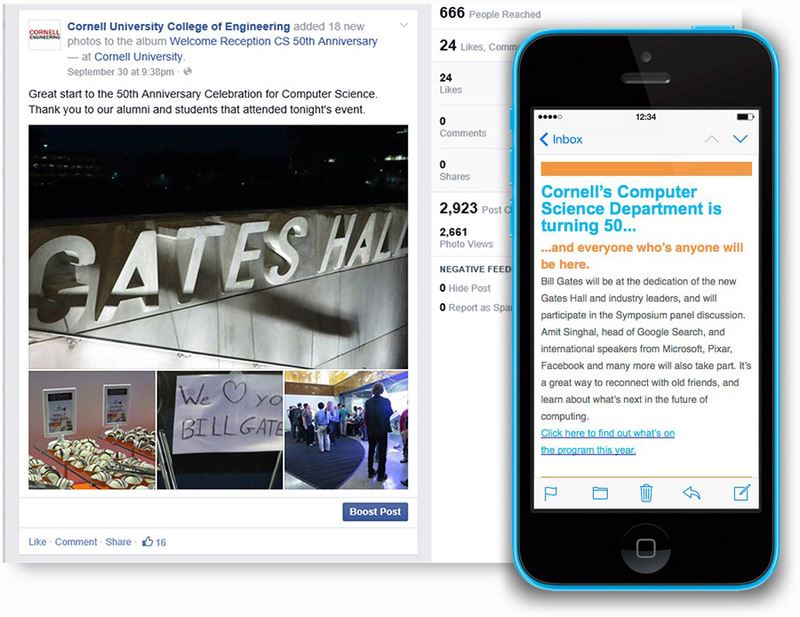 We created a Facebook events page on the Cornell Engineering Science page . We posted several times weekly prior to the event, created photo albums, and generated excitement during 3-day Anniversary Celebration. Over 17,000 impressions were made on Facebook and over 100 posted on the page. On Twitter we live Tweeted from the Anniversary Celebration through to the day and half long Symposium. We started with a handful of followers and now have over 100. 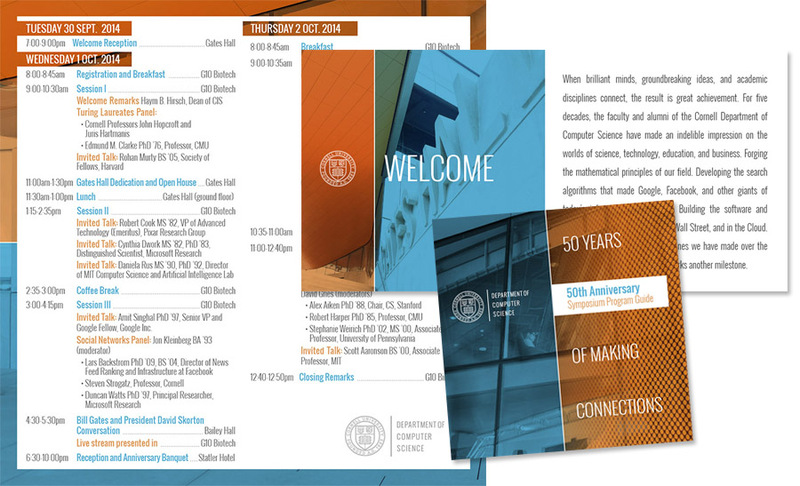 We created a pocket program guide, walking tour brochure, emails, and 50 year timeline of CS milestones.